In the CheckMate-142 clinical trial, the combination of nivolumab plus ipilimumab improved overall survival (OS) in treatment-naïve patients with MSI-H or dMMR meta­static CRC. Approximately 4% of cases of metastatic CRC are associated with MSI-H.
CheckMate-142 previously showed that in patients with MSI-H metastatic CRC that is resistant to chemotherapy, nivolumab plus low-dose ipilimu­mab provided durable clinical benefit and manageable side effects, leading to the accelerated approval of the combination by the FDA in patients whose disease progresses after chemotherapy with a regimen of fluoropyrimidine, oxaliplatin, and irinotecan. The objective response rate to the combination of nivolumab plus low-dose ipilimumab was 60% in patients with MSI-H or dMMR, and 7% of the patients had a complete response. 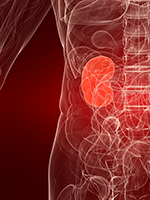 Heinz-Josef Lenz, MD, FACP, Co-­Leader, Gastrointestinal Cancers Program, University of Southern California Norris Comprehensive Cancer Center, Los Angeles, presented the study results. “The combination of low-dose ipi­limumab and nivolumab has a dur­able clinical response and is well-tolerated as first-line treatment in patients with MSI-high metastatic colo­rectal cancer. 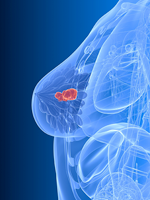 The data suggest that nivolumab and ipilimumab may be a first-line treatment option for these patients,” said Dr Lenz. In Checkmate-142, 45 treatment-naïve patients with MSI-H or dMMR metastatic CRC received nivolumab 3 mg/kg every 2 weeks, plus ipilimumab 1 mg/kg every 6 weeks until disease progression or intolerable side effects. Patients were followed for a median of 13.8 months for the primary end point of objective response rate. A total of 27 of the 45 (60%) patients continue to receive treatment with this combination. In addition to the 3 complete responses, 24 (53%) patients had a partial response. The disease control rate was 84%. The responses were observed regardless of tumor PD-L1 expression, BRAF or KRAS mutation status, or a diagnosis of Lynch syndrome. The median time to response to treatment was 2.6 months. “Some 82% of responders had ongoing responses at data cutoff, and three-fourths (74%) have already had responses lasting longer than 6 months,” said Dr Lenz. The median duration of response, median progression-free survival (PFS), and median OS have not yet been reached. The 12-month PFS rate was 77% and the OS rate was 83%. Treatment-related grade 3 or 4 adverse events were reported in 16% of patients, and 7% of them discontinued therapy because of treatment-related adverse events. A separate exploratory phase 2 clinical trial showed that preoperative combined treatment with nivolumab and ipilimu­mab achieved major pathologic responses in 100% of patients with early-stage dMMR colon cancers, reported Myriam Chalabi, MD, Gastrointestinal Oncology, Netherlands Cancer Institute, Amsterdam. A total of 14 patients with resectable, early-stage colon cancer have received nivolumab 3 mg/kg on days 1 and 15, and ipilimumab 1 mg/kg on day 1, before surgery. All patients underwent radical resection of 15 tumors without delays. All 7 patients with dMMR colon cancer had major pathologic responses, with 4 of the 7 (57%) patients reaching complete responses. In contrast, no major pathologic responses were observed in patients with MMR-proficient tumors, despite a significant, 2.4-fold mean increase (P = .018) in T-cell infiltration posttreatment. The patients with dMMR disease had a 4.8-fold increase (P = .0009) in T-cell infiltration.